At The First Bites, you will find recipes and information on how to make your child’s first bites of solid food as nutrient dense as possible to foster optimal growth and development. Through trial and error, experimenting with each of our babies likes and dislikes, we have compiled a list of recipes to help you get started! In the beginning stages of life, babies receive nutrition from breast milk or formula (homemade baby formula recipe). At some stage around 4 to 7 months, they will start to show signs of interest and curiosity in the foods eaten around them. These are some of the first tell tale signs that your child may be ready to start to solid foods. It has been an organic process for us, jotting down the foods Corianna and Lua ate for their first bites at each stage during our first year together. Now they have just past their first year and we are continuing to brainstorm and develop delicious and nutritious meals for our toddlers and families. Our inspiration on what a nutrient dense diet looks like is largely based on the research findings of Dr. Weston A. Price. He studied the diets of our ancestors and found the benefits of the traditional diets, such as full fat dairy products, cod liver oil, eggs, and meat. We were introduced to Dr. Price’s work from, Sally Fallon and Mary Enig (book review), who wrote the “Nourishing Traditions Cookbook.” Here she describes the benefits of the traditional diet and provides recipes that support this theory. We have used the work of these nutrition-pioneers in developing the recipes you will find here. It’s important that our babies get the most nutritious food available; organic, unprocessed, whole foods including meat, fruit and vegetables along with whole grains. We include such nutrient dense foods as egg yolk, cod liver oil, and coconut oil to name a few. Our glossary gives more details on the benefits of these ingredients. The recipes are easy and can be made at the same time you’re cooking meals for the family. 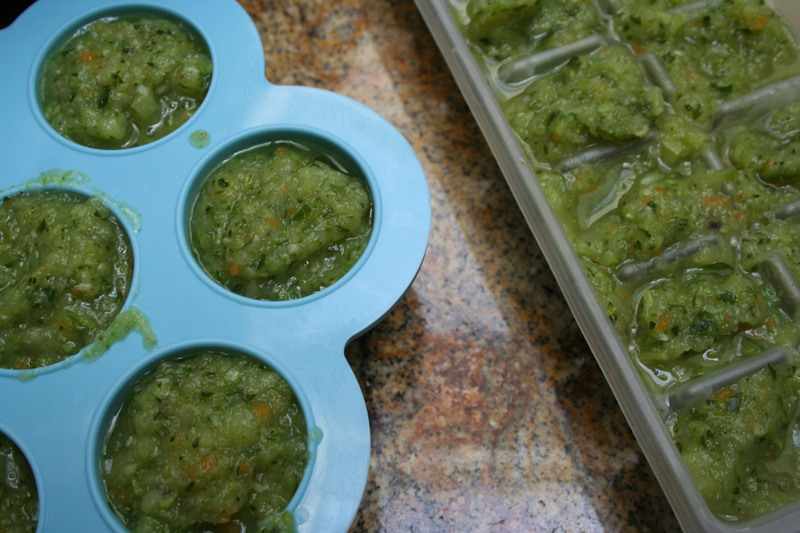 Plan on making baby food one day of the week to last the entire week or even two weeks. We’ll share time saving tips with you as well. 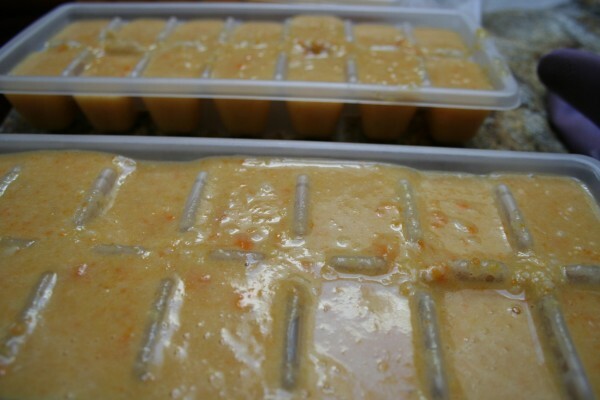 The cost of making your own baby food is small compared to buying packaged baby food in the store.